The notch. When it first appeared on the iPhone X it was widely derided (mainly by Android users) as ugly. Yet as other phone manufacturers chase ever higher screen-to-body ratios on their new phones, we're starting to see the notch appear on Android phones, too. This makes some people on the internet VERY ANGRY. With its new P20 and P20 Pro phones, Huawei introduced an option to appease the notch-haters, where a software option turns the status bar black, thereby making the notch less noticeable. Now OnePlus CEO Pete Lau says that a similar option will be available on the OnePlus 6, although not at launch. 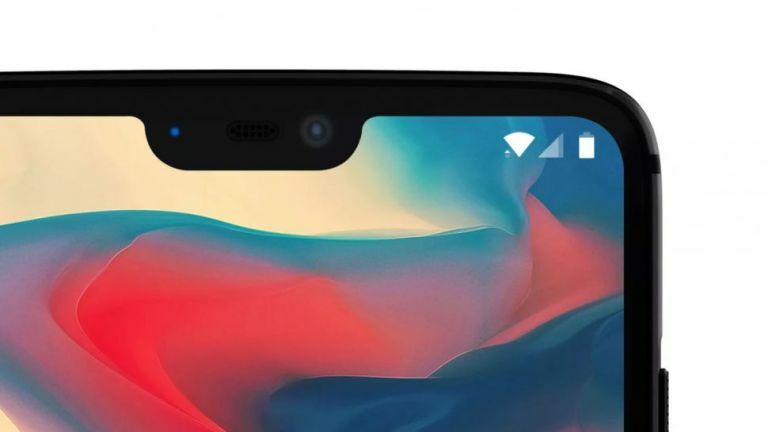 Our colleagues at TechRadar were browsing the OnePlus forum where the CEO responded to a comment in a thread about the notch which will be a feature of (or blight on, depending on your point of view) the new OnePlus handset. "A black-out feature was seriously considered in the early stages of the development of the OnePlus 6," wrote Lau. "At the time we decided against adding this feature. We wanted to focus all of our time and resources on delivering an exceptional full-screen experience. I still believe the best way to experience the OnePlus 6 is using the full potential of the display." However, it seems not everyone agrees. "Recently many users have raised interest in having a black-out function. We respect your feedback, and would like to give everyone the ability to choose," continues Lau. "This function will enable you to black out the background of the notifications and status bar. It will be added in a future software update released after the launch of the OnePlus 6." So if you buy a OnePlus 6 and can't live with the notch, you'll be pleased to know that at some point, you'll be able to hide it. Although by the time that software update is rolled out you may have learned to love the notch. The OnePlus 6 will be released this summer.